The Cities and Local Government Devolution Act received the Royal Assent on January 28. The Act promises election of mayors for “Combined Authorities”, as well as the devolution of certain functions of governance to these and “Economic Prosperity Boards (EPBs)” throughout England. Since the Act was passed, its imposition has not been the plain sailing that the government intended. So far, out of the 10 devolution deals agreed and 34 applications pending, only one large authority, Manchester, has so far reached the stage that from April 1 it has started to manage its £6 billion health and social care budget as part of an extension of devolved powers under the Act. But even in Manchester, concerns about the risks to the funding of public services, including social and health care in the city, are still being expressed by those involved. In the rest of England, many borough councils are still refusing to confirm even the signed devolution deals or are delaying their implementation. So for example in March in the North East, Gateshead Council repudiated the devolution agreement and its elected mayor that it had previously signed. Following this, the six remaining local authorities which are part of the North East Combined Authority (NECA) have delayed their decision. 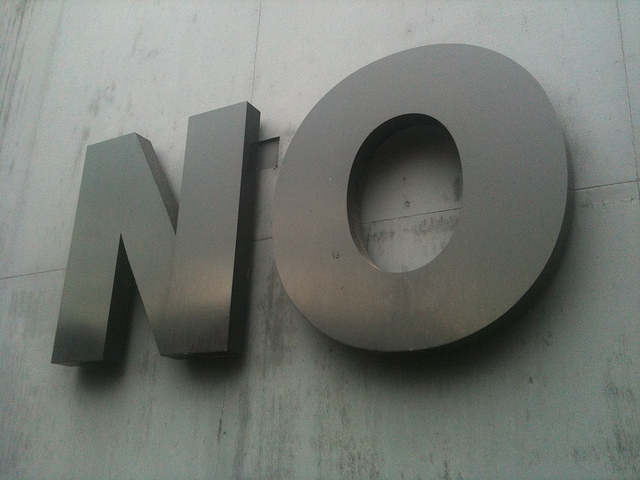 In a ballot conducted online by the North East Chronicle Live in March, a majority voted against the devolution deal as it stands, which led the paper to report that “the case against a regional authority and mayor looked stronger than ever, as Gateshead said it would not be signing up to the deal”. In the south of England, the Hampshire and Isle of Wight partnership voted against an elected mayor. The government’s continued attempt to impose a “metro mayor” culminated in the Conservative Hampshire County Council leader advising the government that they were not prepared at this stage to progress a proposed “Solent Devolution” deal, or confirm the County Council’s membership “in the timescales set by government”. On March 18, West Cornwall Health Watch included in their AGM a public debate on devolution as part of Cornwall Councils Consultative Programme on approving the devolution agreement. Cornwall is one of a number of areas that is including a devolved NHS budget for social and health care. However, council speakers as well as the audience raised many concerns as to how this devolution could work in setting up a Health and Social Care service when there would be neither full professional guidance, nor guarantees from the government to fund the right of all to health care. This is a familiar picture across the country, but the context of this opposition is that government-driven “devolution” is both the continued attempt to deny the right to full sovereignty for Scotland, Wales and Ireland and at the same time further entrench the whole anti-social neo-liberal direction in the cities and regions across the whole of Britain. This is being done under the guise of claiming to “devolve” Westminster powers to “elected Mayors” and asserting the creation of northern and southern “powerhouses”. In his budget speech in March, Chancellor George Osborne tried to revive flagging support for the government’s devolution in the face of this opposition, which is being expressed even within his own party, by claiming that “the government is delivering the most radical devolution of power in modern British history”. He went on to try and claim that “the devolution revolution is taking hold”. 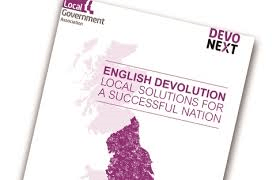 In doing so he spelt out the real aim of this “devolution revolution” as he pointed out that when he became Chancellor “80% of local government funding came in largely ring-fenced grants from central government”. This he claimed was just the “illusion of local democracy” and he boasted that “by the end of this Parliament, 100% of local government resources will come from local government – raised locally, spent locally, invested locally”. In other words, he openly outlined a direction for the Devolution Act that continues the massive cuts in government funding to local authorities, which has savaged the budgets of public services over many years and is the continued aim which he is championing. The fact that previously most local authority funding came from central government grants with only about a quarter raised locally through council tax on local residential and business properties needs to be put in its real context. It is not an “illusion of local democracy” as claimed by George Osborne. Quite the opposite. The “ring fenced grants” are a claim on central public authority, i.e. the government, to meet the needs of every community from the claim of central government to social wealth in the form of taxes. Taxes are taken from people in every community, council borough and workplace via income tax, corporation tax, purchase tax (VAT) and national insurance. This is distributed to local borough councils through what is describes as “ring fenced grants”. In distributing this central funding, George Osborne presents this funding to local authorities as if it is a “cost and burden” to the national treasury and the people of the country. This is all part of the government’s fraudulent pretext in doing away with “big government” and the “nanny state” and other such pronouncements which are aimed at trying to increase the claim of pay-the-rich schemes from the overall taxation, whilst removing the claim of local authorities for public services and thereby excluding the welfare of the people. The Devolution Act is part and parcel of the government’s abrogating its responsibility to provide and maintain modern public services for all the people who live and work in every part of the country through re-distribution of the social wealth of society that it has claimed. This is to be replaced by an “elected Mayor” wilth some paltry grant (£30 million a year in the case of the North East Mayor) that have “extra powers to add a premium to rates” to pay for “new infrastructure projects” and also the “borrowing of funds”, but only provided the Mayor has “business support”. In other words, having cut 80% of the claims of local authorities from central government “grants” the people are to face increased taxes with the real illusion of democracy being an “elected Mayor” who is in partnership with big business and the ruling elite in each area. The plan of the government to impose its Cities and Local Government Devolution Act with its elected Mayor has nothing to do with empowering the people of the regions and respecting their decisions to run their own affairs but has the aim at entrenching further the destruction of public authority and further take forward the anti-social direction for society and for the economy in the interests of the monopolies. It underlines also that what is needed is a modern system of the raising and the expenditure of public funds, a system that does not put the burden on working people as individuals.